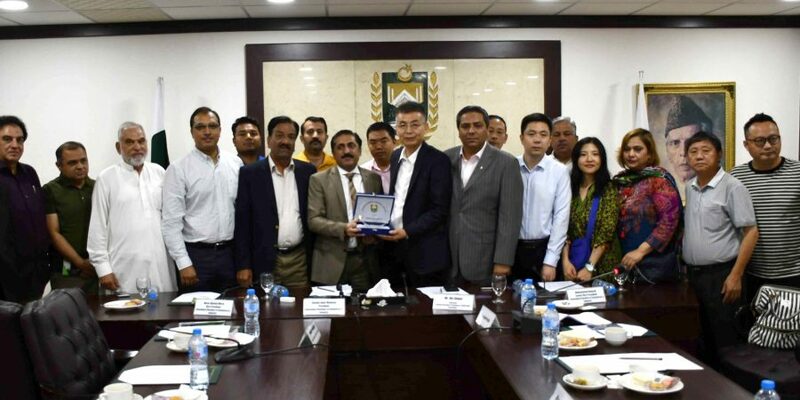 ISLAMABAD, (DNA) – A delegation of Sichuan International Chamber of Commerce Halal Food Professional Committee led by its Chairman Ma Zhujin, Chengdu, China visited Islamabad Chamber of Commerce & Industry and showed interest to establish business collaborations with Pakistani counterparts in agriculture, livestock & dairy development, food & fruit processing, pharmaceutical and other sectors. Sheikh Amir Waheed President, Muhammad Naveed Malik Senior Vice President and Nisar Mirza Vice President ICCI were present in the meeting. Speaking at the occasion, Ma Zhujin, Chairman, Sichuan International Chamber of Commerce Halal Food Professional Committee said that Sichuan Province was in South West of China and it has lot of importance for CPEC. He said Sichuan with a GDP of over $458 billion was the sixth largest provincial economy of China. He said millions of Chinese Muslim were living in Sichuan which offered additional benefits to strengthen bilateral business relations with Pakistan. 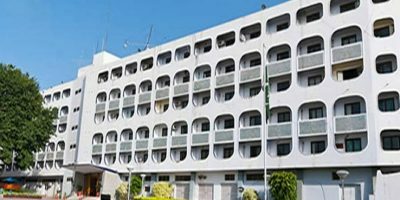 He said the purpose of visiting Pakistan was to explore business collaborations with Pakistani companies in agriculture, livestock & dairy development, food & fruit processing, pharmaceutical and other sectors. Sheikh Amir Waheed said that pharmaceutical companies of Pakistan were importing most of raw material from China and other countries. He stressed that Chinese companies should set up raw material producing plants for pharma industry in Pakistan that would help in manufacturing cheap medicines in the country. He said by investing in Pakistan, Chinese companies could promote exports to South Asia, Middle East, Africa and many other destinations. 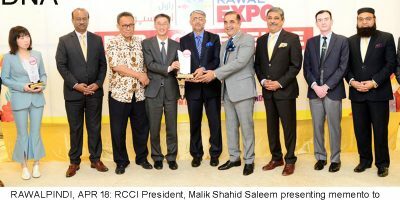 Naveed Malik Senior Vice President and Nisar Mirza Vice President ICCI thanked Chinese companies for visiting Chamber and hoped that their visit would be belfpul in developing business partnerships between the private sectors of both countries.